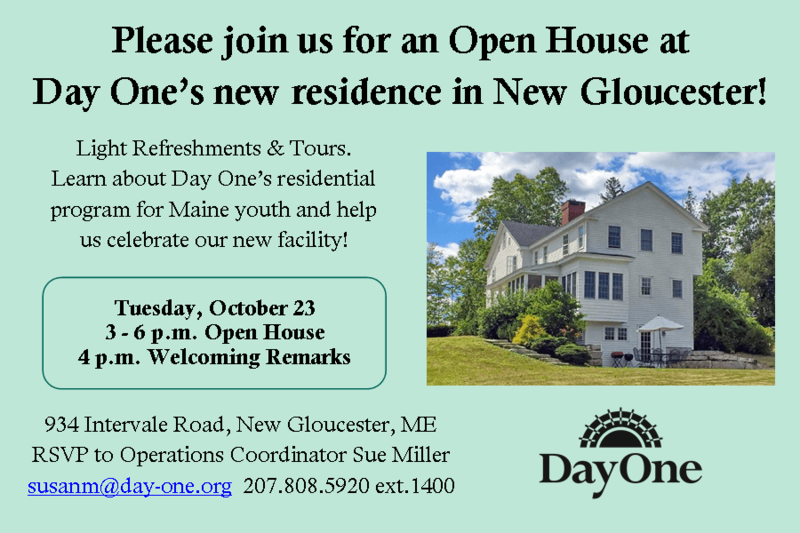 Day One’s new residence at New Gloucester OPEN HOUSE is today, October 23 from 3 – 6 p.m. with Welcoming Remarks at 4 p.m. Check out the newly opened residence in New Gloucester. Come learn more about Day One’s work to improve the health of Maine by providing substance use, mental health, and wellness services to youth and their families.